I have this list. Call it a bucket list, list of things to do while I’m alive, life goals, “beginning with the end in mind” (a la Franklin Covey), whatever. And somewhat prioritized. I have a vague sense of which things are more important to me than others, and I use that when making decisions. Like where to spend my money first, and how to allot my time. I’m always telling my kids to focus their energies on the things that make them happy. I blabber on about the importance of doing the things that really matter to you, and not putting them off (taking into account personal responsibilities and fiscal soundness, of course). So, it’s funny when my son throws it back at me. 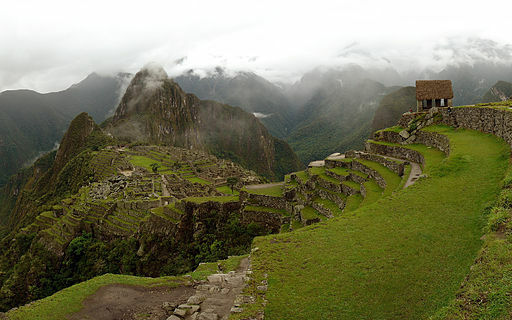 Visiting Machu Picchu has been on my list since I was ten. Which is when I realized that while I really do want to master German, it can’t compete with some of the other things on my list. At least not right now. I’ve decided to devote my time to other things that I care even more about. Now, someday, when I’m in a position to fulfill my “Live in Germany (or Austria)” list item, learning German will become a higher priority. I’ll have a reason to put some serious effort into it. And then some of the things I’m doing now will fall aside for a while. I don’t want to languish with an unfilled wish list for the rest of my life, but I can’t do everything right now. It’s not a competition. It shouldn’t stress me out. It’s supposed to be fun. So, I’m going to savor what I’ve done and am doing, and look forward to those things I’ve yet to accomplish. No stress, no guilt, no feelings of failure. Melanie: I lived there as a kid, and took German in high school. Got really good at it, but never had a reason to use it, so I lost it. I go through bursts of energy where I read news articles online, go through a German text book, and so on, but the motivation isn’t as strong without good reason to learn other than “I want to be fluent.” Definitely need to live there again one of these days. Good luck with your list too! We spent the last year quite unexpectedly living in Berlin and even though I spoke no German at all when we arrived, the entire year was simply magical. I always assumed that my adult language of choice would be French (my parents’ native language and also what I studied in high school and college), but I absolutely fell in love with both the German language and the German people during our time there. Now we’ve just as unexpectedly moved to the DC area, and as happy as I am to be back in a country where I speak the language fluently, I truly miss that immersion in a culture that was not my own but somehow became a part of me anyway (and yes, I’m already looking for German classes so I don’t forget all I worked so hard to learn). Go off on your German adventure as soon as you can, even if it’s just for a few weeks. I’m so grateful our family had that opportunity, and I can’t wait to see where we end up next. Now I’m thinking I should start a life list, too. Thanks for the inspiration, and tschüss! Angele: What a great experience! I too love the German language and culture. Living there as a child had a profound impact on me, and I’ve been waiting years to go back. I did get in a quick visit a few years ago on a two-week tour of Europe, but it wasn’t enough. Enjoy the DC area. We’re living there now for our second time, and we really like it, but I’m getting antsy to move on. 😉 Danke! Bucket lists are wonderful. I saw the movie. 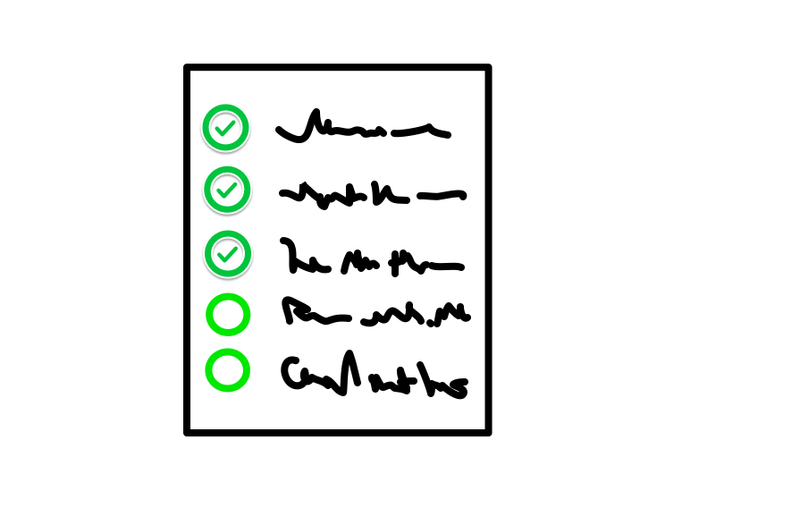 To Do Lists keep me organized, more or less. Pursued long enough they can become the stuff of stunning resumes. Then one day, spinning off of the then popular “How To Get Control of your Time and Your Life, I decided to make a serendipity list. Stuff that just happened or showed up along the way that reminded me of the gift quality of life in general and my life in particular. The experience = satisfaction and no small amount of joy. It also cranked up enough energy for the next list. Curtis: I love the serendipity list. Spontaneous fun is great too. I find that having a larger “big dreams” list helps me take advantage of those unexpected opportunities that arise (or decide if I even want to take them), but I’m always up for the unexpected adventures too. Definitely celebrate. 🙂 Good to see you! When you FINALLY get back to a German speaking country, the language will come back to you. Within weeks of hearing it spoken, you will be so amazed at the words you suddenly “remember” That happened to me after 45 years. No kidding. It’s also helpful if you have someone to converse with. I didn’t and don’t so it wandered off again. You have bigger fish to fry now. My bucket is close to empty but I still want at least a 3-6 month stint in Germany one more time.